This Anglo-Galapagoan family run hotel offers an exceptional standard of comfort within a friendly and relaxing atmosphere. 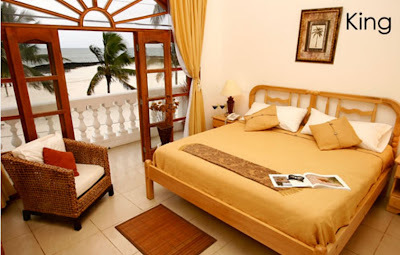 8 rooms: Beachfront Kingsize, Beachfront Twin, Suites. All rooms have private bathroom with double bowl sinks set on luxurious marble, a hairdryer, soap, towels and a power shower with hot and cold running water 24 hours a day. They also have windows, balcony, cable TV, a safe, bedside telephones, airco and wireless internet.